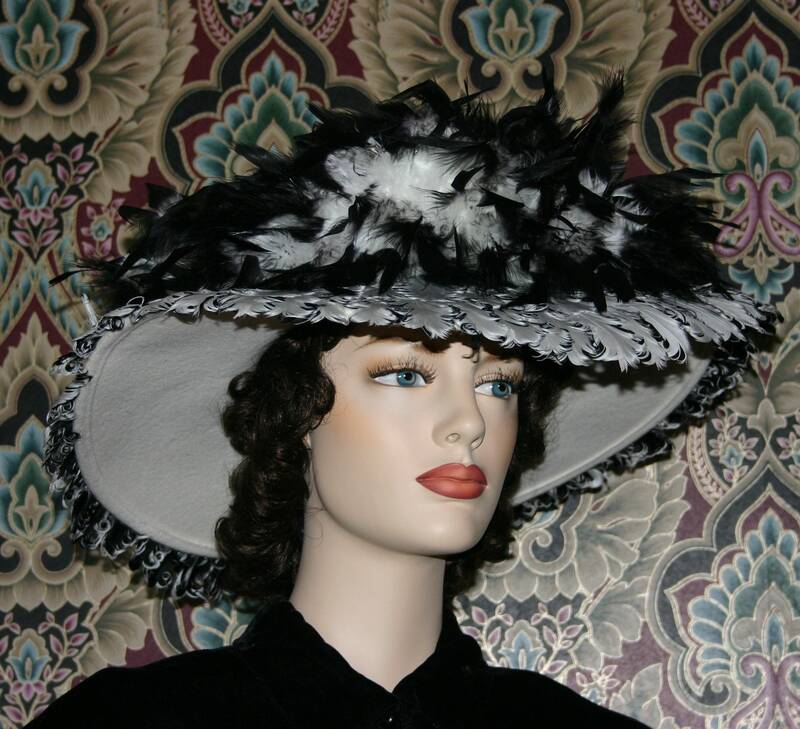 Edwardian Hat, Downton Abbey Tea Hat "Lady Anna" is perfect for any event! 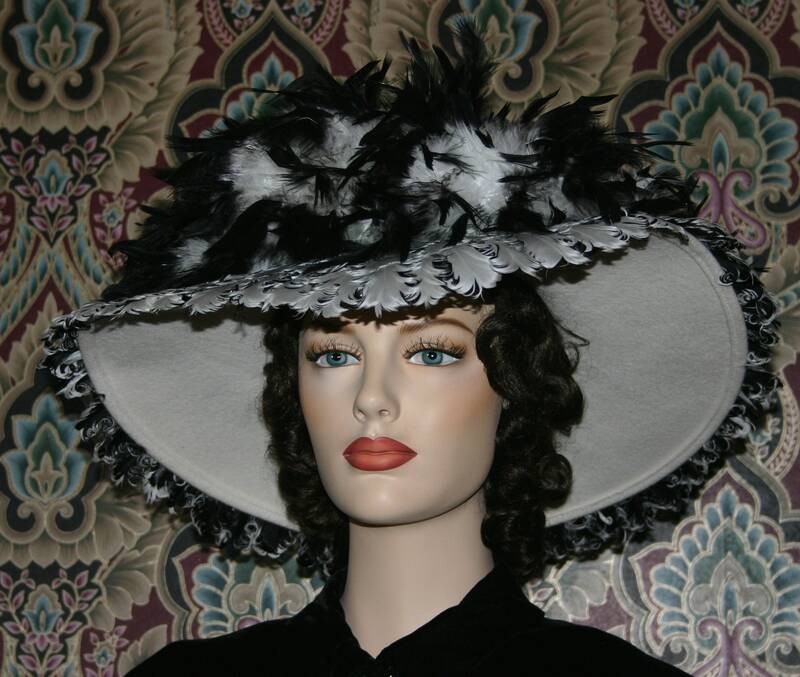 It's designed over a wool hat base. 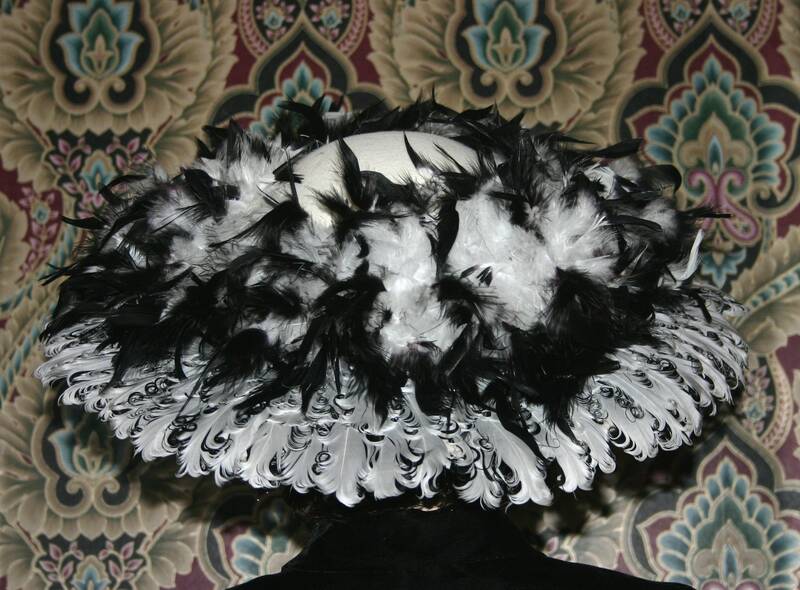 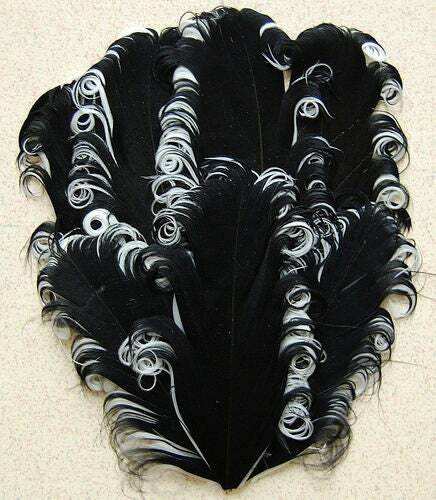 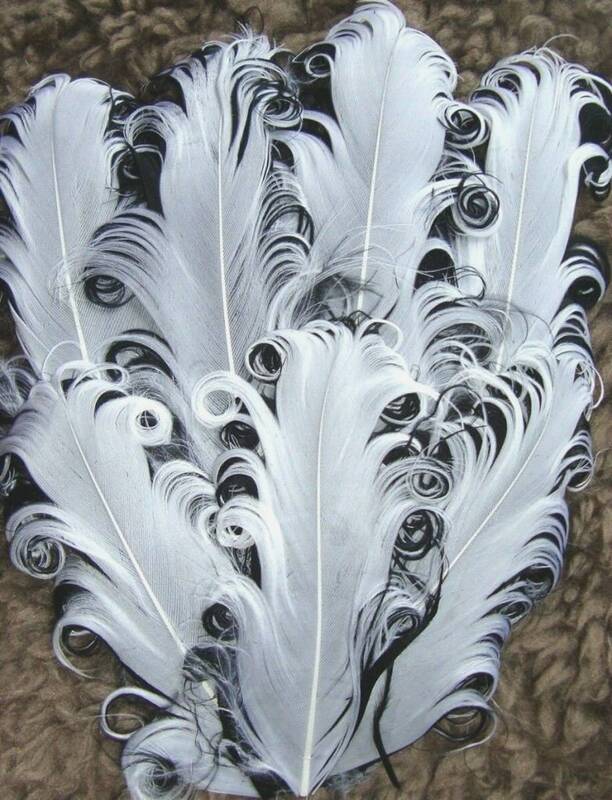 The crown is wrapped with Black & White coque feathers and the brim is covered with Curly Nagorie feathers (see the last photos for the style of this feather). 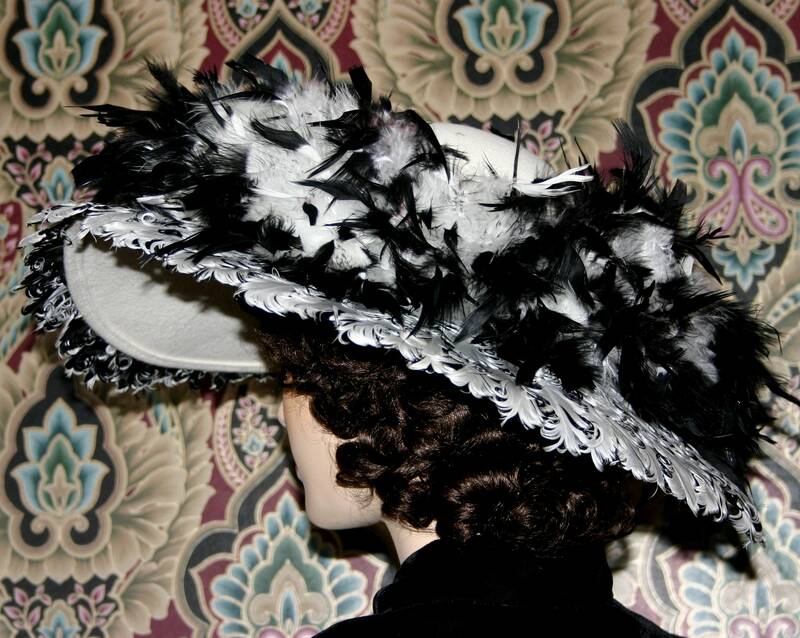 A gorgeous Black Velvet & Organza Vintage millinery rose.